Test Equipment - Paw Taw John Services, Inc. Manufactured by Paw-Taw-John Services, Inc. 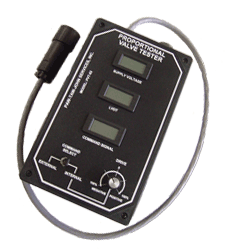 The Proportional Valve Tester (PVT - 02) is an in-line electrical monitor for proportional hydraulic valves with onboard electronics. It is designed to monitor those voltages which can affect the control of proportional hydraulic valves in a hydraulic system. 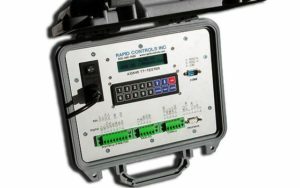 Configured for industry standard proportional valves (Bosch, Rexroth) operating on 24VDC, a ±10VDC command signal. 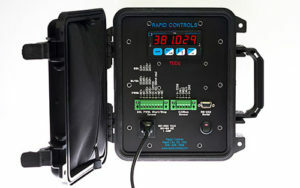 Power for the tester is provided by the control system or standalone power supply is available. The PVT-02 comes in a hardshell case. Distributed by Paw-Taw-John Services, Inc. The TT100 Portable Sensor Tester is designed to test magnetostrictive sensors. With a 24V internal power supply, the tester can be used anywhere AC power is available. This tester will work with Start/Stop, PWM, SSI, and CANbus magnetostrictive sensors. For additional information and Product Specs please click on the link below. The TT300 Portable Temposonics Tester is the big brother to the TT100. With similar options as the TT100, the TT300 takes it a step further With additional outputs such as CANopen, PROFIBUS, Analog Voltage and Analog Current. Another feature is the available internal battery allowing you to use it where AC power is not available. For a full description and Product Specs please click on the link below.